Citrus County deputies got a call from the Pasco County Sheriff’s Office that said a wanted homicide suspect was heading that way on U.S. 19. A traffic stop in Citrus County ended with the finding of a homicide suspect in the trunk. Citrus County deputies got a call from the Pasco County Sheriff’s Office that said a wanted homicide suspect was heading that way on U.S. 19. on Friday. After Citrus County deputies got the information, they staged out where the suspected vehicle might be going. Deputies were able to stop the vehicle and found two underage girls in the car, law enforcement said. The girls were given the reason for the traffic stop and gave Citrus County deputies permission to search the vehicle, authorities said. 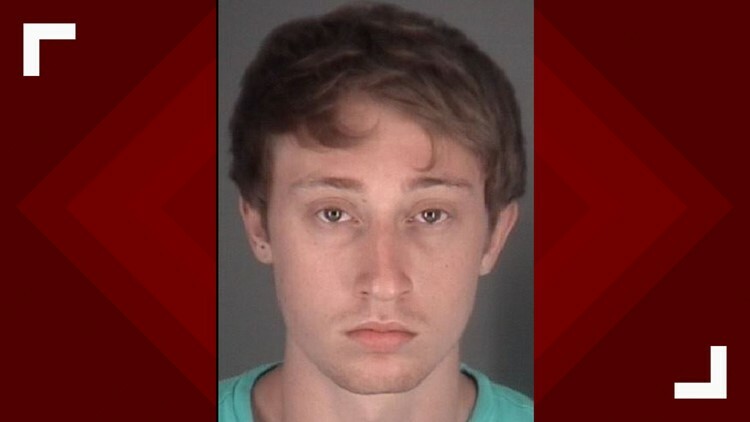 Deputies said Taylor Jace Contino, 20, was found hiding in the trunk. Contino was arrested and taken to the Citrus County Jail.